Are you diabetic? If so, you’ve probably been told that carb counting is one of the single most important things you can do to help control your diabetes. Obviously, exercise is important as well. 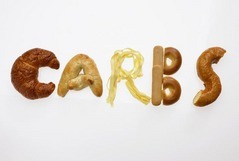 But, counting your carbs is your lifeline to successfully managing your diabetes! Right? Or… is that right? There is currently a lot of debate surrounding the effectiveness of carb counting to manage diabetes. On one side, you have the traditional thinkers who argue that counting carbs is the only way to control your diabetes. It’s simple logic! When you consume carbohydrates, whether simple or complex, your body breaks them down in to sugar. This sugar is then absorbed in to your blood stream causing your blood sugar to rise. In response to this rise in blood sugar, your body releases the hormone insulin. Insulin is used to take the sugar from your blood and move it to your cells. Once in the cells, it can be used as energy to fuel your body. Diabetes is an insulin deficiency in your body. So, it makes sense that if your body struggles to produce insulin, it cannot appropriately manage the sugar in your blood caused by consuming carbohydrates. So, in order to control your diabetes, you must manage the amount of carbs you consume so that your body can manage the blood sugar levels. On the other side, you have the radical thinkers who say that counting carbs is not a vital part of successfully managing diabetes. Instead, they argue that it is more a combination of the foods you eat and the amount of daily exercise you get that keeps your blood sugar in control. But, we want to know what you think! How do you find that your diabetes is best controlled? Are you traditional or radical? Please share your thoughts with us… Facebook, Twitter, Email or even comment right here on this blog!